I have to admit this at the onset of this one: I first watched the film at least a decade ago, and revisiting it again for the purpose of this explainer, while maintaining the same mean shock at the end that was delivered the first time around, it made me wonder, and think long and hard. It is now going to be half a century since this film first came out. This sci-fi classic must have been uproariously praised for what it accomplished in the makeup and technical departments, but more so, for its ground-breaking story, back when it released. Following four movie sequels, a television series, a remake and a reboot series comprising of three more ape films, the question begs to be asked: with all the appropriate technology at our disposal, when did our science fiction films cease to be great cinematic endeavours? 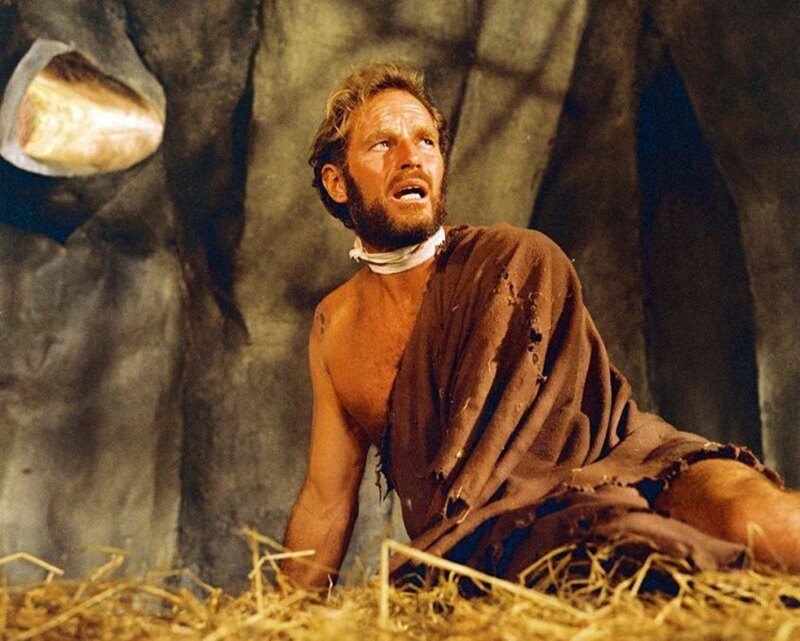 With a twentieth of the budget, or at the most a fourth if you account for inflation even, ‘Planet of the Apes’ was able to accomplish so much more than modern sci-fi films have been able to do. In the decade separating my first viewing of this brave classic, and the one now, lamentably so, little remains unchanged. Unapologetically so, a return to viewing this seminal sci-fi work of the 60s was a delight, something I wish the rest of you indulge yourself in too, pronto. Coming to its ending (talked about later in detail), that really should have served as a beacon of caution for humans, and sadly, nothing much seems to have changed. “Does man, that marvel of the universe, that glorious paradox who sent me to the stars, still make war against his brother? Keep his neighbour’s children starving?” logs a cynical George Taylor, as he prepares himself for cryosleep. Well, Mr. Taylor, it’s 2019, and the answer to all your questions is sadly yes. That ending, still as shocking as ever, left a bitter aftertaste not because it ended on a pessimistic note, much unlike a lot of sci-fi movies do today. It was because we knew back then, as we have known along the years that we are headed there, slowly if so. However, I save some social commentary for the end of this article, but for now, let’s move to processing that ending. 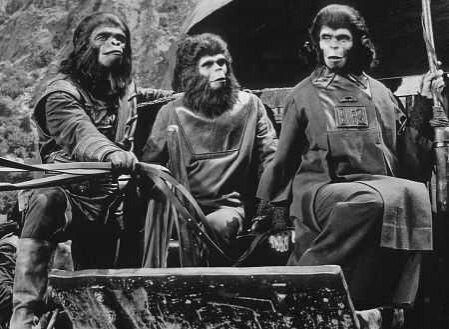 Partly based on the French novel, ‘La Planète des Singes’ by Pierre Boulle, ‘Planet of the Apes’ begins with a NASA astronaut crew aboard a space vessel, their project being commissioned to find a new home, as later revealed by the protagonist of the film, George Taylor, himself, played by the charismatic Charlton Heston. As the entire crew goes into hyper-sleep, their ship crash lands into a water body on a presumably different, strange and apparently deserted planet. It is revealed from the timer on the ship that close to two millennia have passed in earth time, and the gentlemen are later left with no option but to find and cope with the life they would have on the new planet. With their ship sinking, they ravage all the resources they can, some ammo and food and water to last them three days, and move on. As they proceed inwards into the mainland, traversing a desert, they come across signs of life as they discover increasing covers of vegetation as they go along. They finally come across a water body where they go skinny dipping after breathing a sigh of relief, but to their surprise, their clothes, costumes and supplies are stolen by savage looking humans, confirming their suspicion of life on the planet. Soon after, they are ambushed by a small army of primates, apes and gorillas who beat the humans up and take the crew hostage, killing one of them in the process. Taylor, who is shot in the throat, and the other survivor from the crew, Landon soon learn that the order of evolution was reversed on this planet; that apes were the superior beings with human like intelligence and speech and the ability to walk upright, while humans were the suppressed ones, literally treated like animals, and not yet capable of speech. While Landon is soon lobotomized and experimented upon off screen, Taylor’s attempts at speech (but failing to do so owing to his throat injury) catches the attention of one Dr. Zira, who begins to grow sympathetic towards him and sees in him a hint at the evolutionary history of apes, “the missing link” as she puts it, and her archaeologist husband Dr. Cornelius, who has discovered significant proof through fossils and ancient artefacts that a link may indeed exist between the primitive man and the advanced ape. 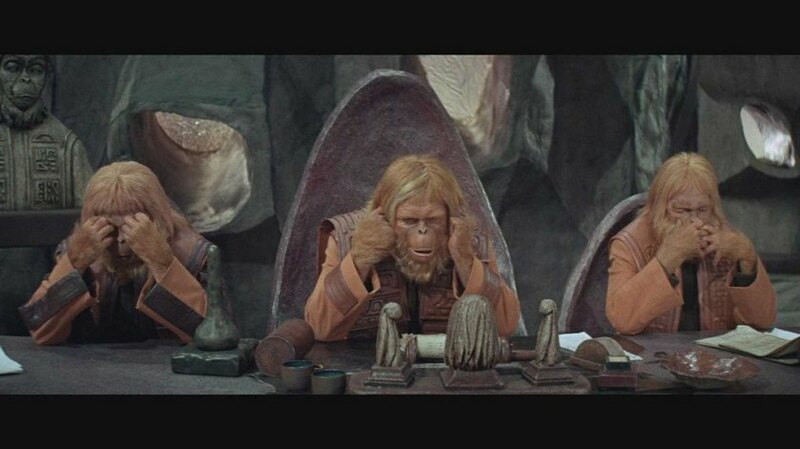 Their ideas are soon labelled heretic, and as Taylor regains his speech, the trio are put on trial in front of a panel of judges headed by ape ministers and Dr. Zaius. Taylor’s truth about him being from another planet are completely disbanded, and Zira and Cornelius are put on trial for heresy. In a private conversation with Taylor, Zaius suspects him to be from another human civilization beyond the desert the apes called “the forbidden zone”. When he refutes, Taylor is taken away and later rescued by Zira’s nephew, Lucius, and the three along with Taylor and Nova (Taylor’s female companion put in his cage by Dr. Zira in an attempt for them to mate) journey across the forbidden zone desert to go to the cave where Cornelius carried out his archaeological expedition, which would be the only thing that would save them from the charges of heresy, and may be able to prove that Taylor was indeed not from that planet. They are followed and shortly confronted by Zaius and a small army of gorillas just outside the cave, but Zaius is nonetheless persuaded by the group to have a look at the substantial evidence found after the expedition. Cornelius shows to him fossilized bones and weapons of metal that prove that an intelligent human population existed before them, but the most striking piece of evidence is provided by a talking doll that is discovered, immediately proving the trio’s claim, since an ape could never make a talking doll. While Zaius is still reluctant to admit, the army Zaius brought along attacks, but is later forced to retreat when Zaius is held hostage by Taylor at gunpoint. Finally agreeing to let Taylor go, he admits that he always knew of an ancient intelligent human species and feared the arrival or resurgence of one of them akin to Taylor, which would explain why he tried to destroy all evidence that could point to the truth. He also reveals that the deserted forbidden zone stated in ape law was once a paradise that was destroyed by “his breed”, and warns him that he may not like what he finds. Taylor nonetheless climbs aboard the horse in hopes of some answers along with Nova and moves on. 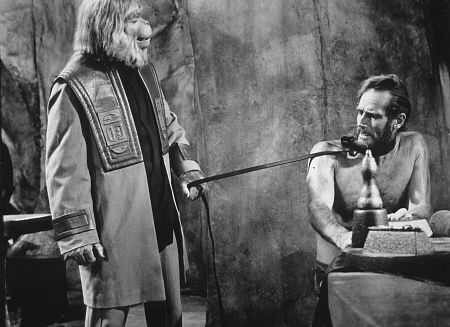 Zaius, now freed, decides to have the entrance to the cave with the artefacts blown up, and imprisons Zira, Cornelius and Lucius, claiming it to be for the greater good. Upon being asked by a befuddled Lucius about the future, Zaius replies that he may have just saved it for them. Zira further enquires as to what he thought Taylor would find out there, he replies, “his destiny”. As Taylor escapes from there on horseback along with Nova in search for some answers, he continues exploring the shore for a while. Upon travelling a little further, he is astounded to find the remains of the Statue of Liberty. The sole revelation alone pushes ‘Planet of the Apes’ from a sci-fi adventure film to a post-apocalyptic film in one go, as we see Taylor going down on his knees and damning all of “them” to hell. I believe the complete set of dialogue replete with a lot of cursing goes something like this. If you still haven’t understood, it was all of humanity that Taylor was condemning to hell, realising that instead of travelling to a distant planet, the crew aboard the ship had only traveled two millenia ahead in time (possibly because of a space time vortex or distortion) and crash landed on earth itself, which is proven by the remains of the iconic Statue of Liberty. 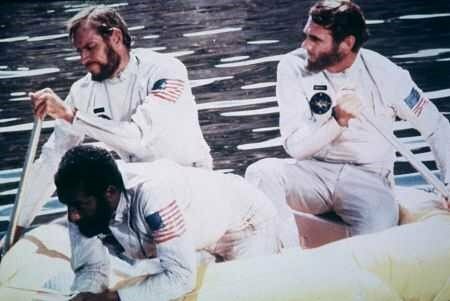 One would wonder in the beginning (and possibly dismiss as lazy writing) the luck of the crew as they crash landed on a foreign planet with exactly the same atmospheric, gravitational and geological compositions as earth, allowing them to breathe and utilize water without any visible or known obstructions. However, all of these speculations against the film are put to rest as it is revealed that Taylor had been on a post-apocalyptic Earth all that time, and all his fears and cynicism about humanity had just been proven true. As is revealed in the second film of the franchise that the success of this one spawned, the cause of the apocalypse or the end of the human population as we know it would be nuclear war. Now what happened after is where there is a lot of room for speculation. Of course, while those remains discovered in the cave (especially the doll) obviously belong to the “modern man” before the fall of civilization, it is what happened after that does involve some valid guesswork, reduced to a certain extent by revelations from this film’s sequel, ‘Beneath the Planet of the Apes’, wherein an entire colony of sentient, telepathic human beings reside as mutations as a result of exposure to hundreds of years of radiation. At this point, it would thus be an intelligible guess that while the nuclear blast and its impact pushed man back to the stone age, it was the nuclear radiation that may have engineered the process of reverse evolution, or mutations among surviving apes that caused apes to develop into the civilized and dominant life forms on Earth. However, since the film series has also spawned a reboot series beginning with ‘Rise of the Planet of the Apes’ intending to serve as a sort of origin story, a lot of these speculations too find proof to be substantially grounded. According to the rebooted series of films, it was the simian flu pandemic, caused from overexposure to ALZ-113, a supposed cure for Alzheimer’s that would be the cause of the fall of human civilisation, and the ALZ-113 administered to one of the apes the cause for the mutation of apes into intelligent beings capable of speech, who then lead an uprising against the humans. It is also revealed in ‘War for the Planet of the Apes’ that the virus whose spread caused the outbreak of simian flu had mutated itself to cause affected humans to go mute, also offering plausible explaining why the humans in this film lacked speech, and took two steps backward in cognitive and communicative evolution as well. There are more than a few points that ‘Planet of the Apes’ sought to make, though it is safe to say that most of them would be against humankind as a population, and the destructive capacity they harbour. In showing humans to be the cause that brought down the supposed end of the world and a falling of the world order, followed by its reversal, if I’m to call it that, within two millennia, ‘Planet of the Apes’ does drive a pessimistic outlook home about humans as a populace in general, and their penchant for war mongering. If you are to consider the second possibility presented by the rebooted film series, the same would still stand true. Humans would still possibly the only population on the face of this earth capable of their own extinction, along with downfall of several other species. In that, Franklin J. Schaffner’s film may just serve as a dark reminder, and a warning at the same time. The second most prominent point I thought that the film sought to make was about Man’s superiority complex, and his thinking of all other life forms to be inferior to them, and in the process, being indulgent in practices of cruelty towards other life forms, and being single mindedly selfish in his pursuit of advancement and consumption of shared resources so as to threaten the very existence of other life forms. 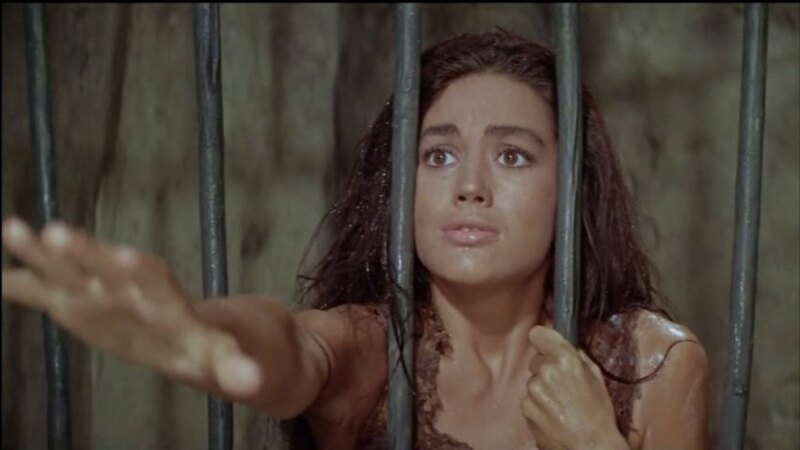 By showing the apes, indulging in frankly the same kind of cruel behaviour towards the mute humans, the film reverses the playing field, and sought to drive that message home with the same subtlety we humans inflict harm on other species, especially our ancestral primates in the name of experimentation. I wouldn’t for one second believe that you didn’t flinch when you saw humans being whipped by those apes, or the lobotomy cut on Langdon’s skull, or Dodge’s eyes gauged out and his body displayed in a museum for the apes. Well, if you as humans could feel empathy towards that kind of treatment against your own kin, where does the “humanity” go when it comes to other species? Something to think about as we move towards the close of the article. ‘Planet of the Apes’ is among my favourite sci-fi films of all time, and that position and claim were cemented when I recently viewed it again. It’s bold, even for today, experimental, wildly original and succeeds in creating a completely different world (not so much by the end), everything that you need to vouch for the ‘fi’ (fiction) in sci-fi, and thankfully so. 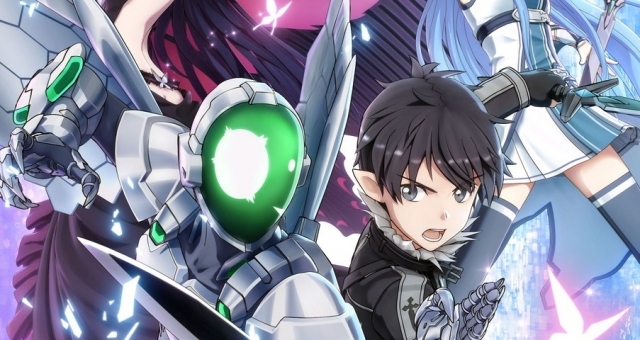 It has stark social commentary, both on present and future scenarios and about us as a population, its observations about the human populace holding more relevance now than ever. 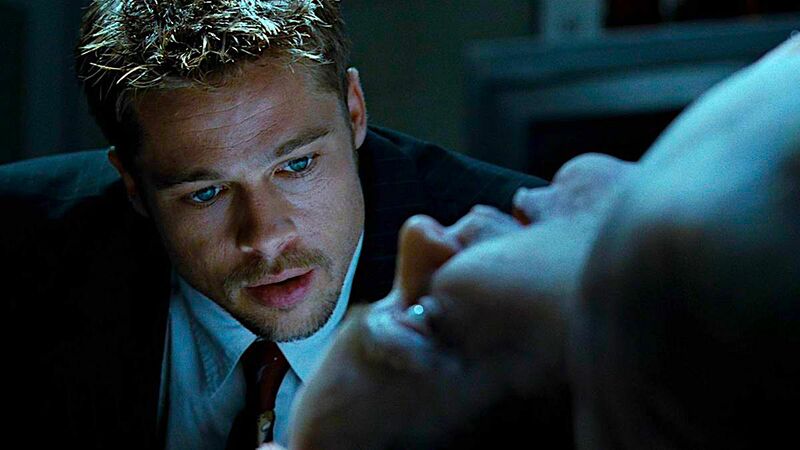 The ending, especially, at par with major shocking endings of this century, will make your jaw hit the floor in surprise, and let me guarantee you that you wouldn’t like that surprise wherein lies the film’s inherent success. As I said in the introductory paragraph, the science fiction in the current day and age has regrettably been reduced to a mere display of special effects and remakes of classics, making you yearn for revered works of originality such as these, some notable exceptions notwithstanding, of course. I know a number of millennials would currently be oblivious to the existence of this timeless classic, and I hope the write up or part of it urges them to catch it. Films like this one are truly rare, and even five decades hence, modern science fiction could use a page from its book.